Well I’ve got news for Mr. Forster. 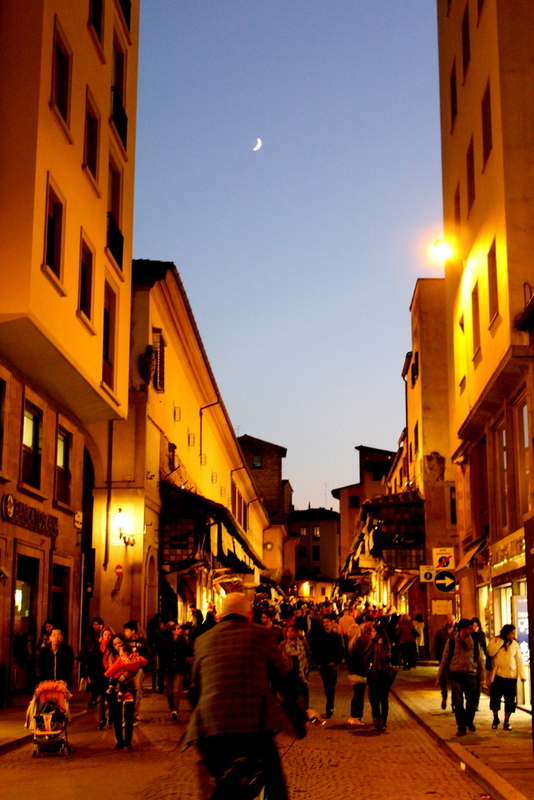 I came to Florence and discovered life, genuine niceness and took away with me a warm, fuzzy feeling that I now associate with this Tuscan capital. But I will get to that later. I knew Florence was pretty but I didn’t expect it to be that packed with tourists. 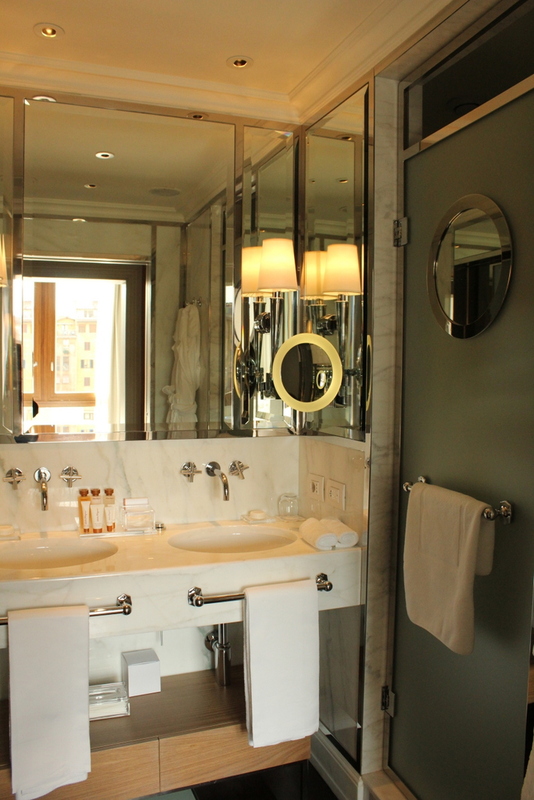 So Florence is not lacking in hotels. 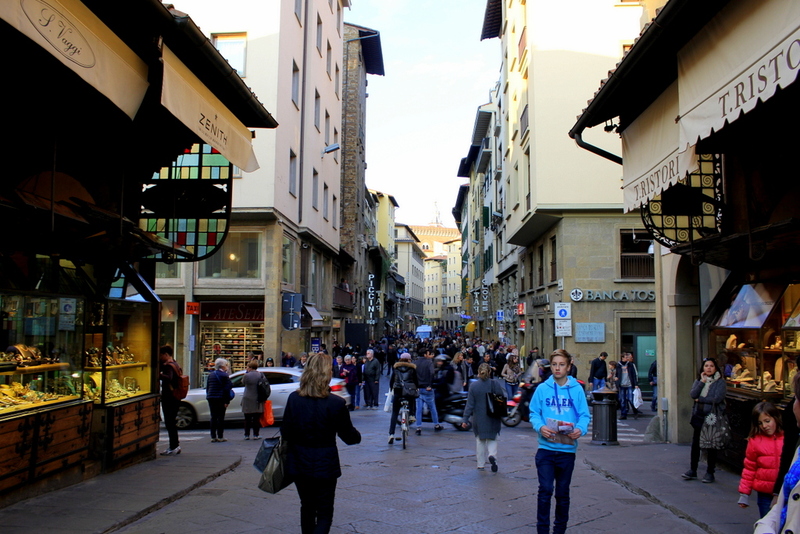 The key is knowing where to book and what area of Florence you want to stay at. 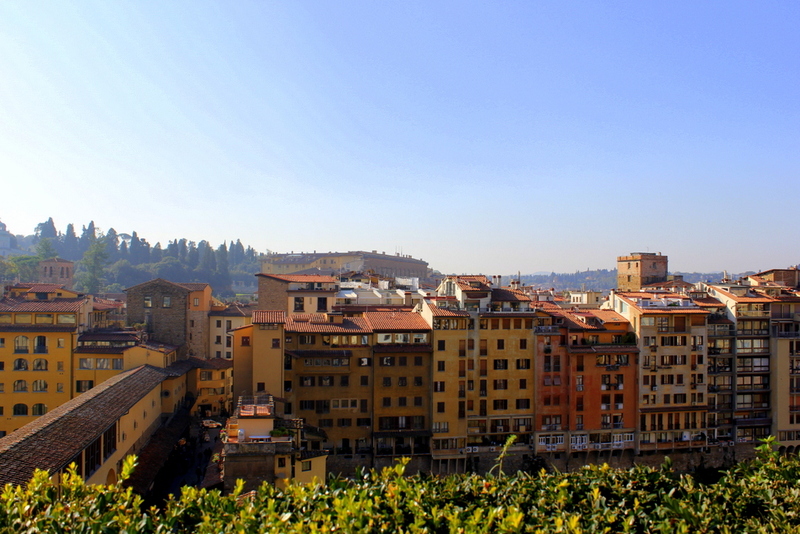 It may not be a big city but being central and next to the River Arno is a major plus. When the doors swung open, I first caught a glimpse of shimmering emerald green. Then the sepia and burnt orange structures. And the actual room itself, well. I’ll let the pictures do (most of) the talking. Now a little bit of background: Ask anyone and it’s unanimous that I’m not much of a ‘home-y’, interior decoration-loving kind of person. I move and travel around way too much to ‘nest’. I do own a place in Sydney, yes but it’s not my ideal place (yet.). I still haven’t found and seen a place that I can envision living in forever (or closest to forever anyway). 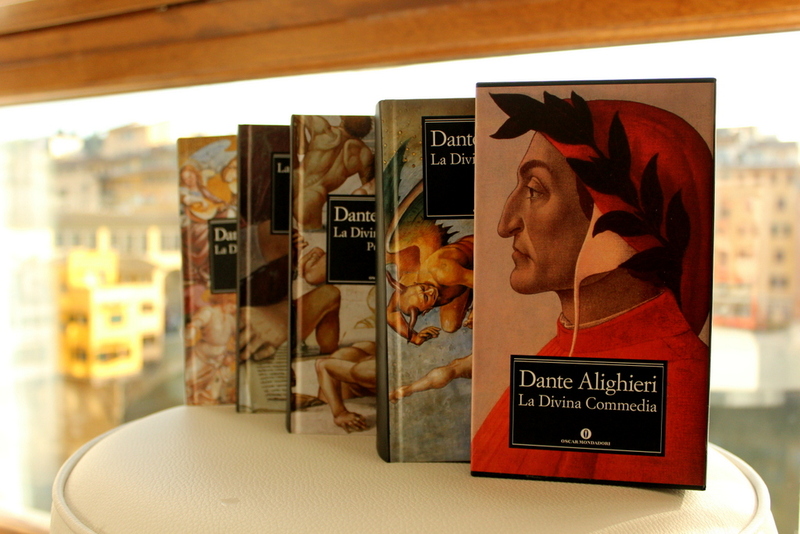 But for the first time, I felt “home at first sight” in Portrait Firenze. If I ever live in Europe one day, this is what I envision my apartment would look like. Clean, modern (but not too much), a lot of neutrals and natural light. And most of all, a lot of books. 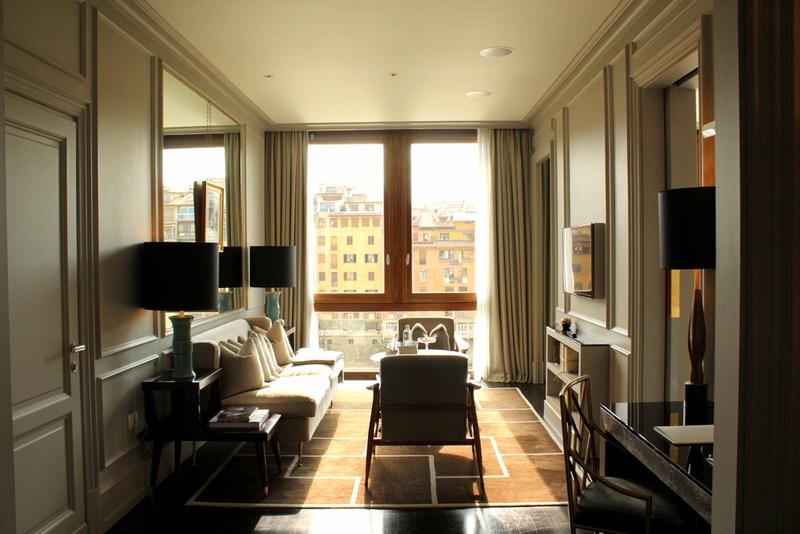 Portrait Firenze celebrates the style of 50’s Hollywood + Florence. Throughout the hallways and inside the studio itself are original photographs of Elizabeth Taylor (among many others) along the River Arno. 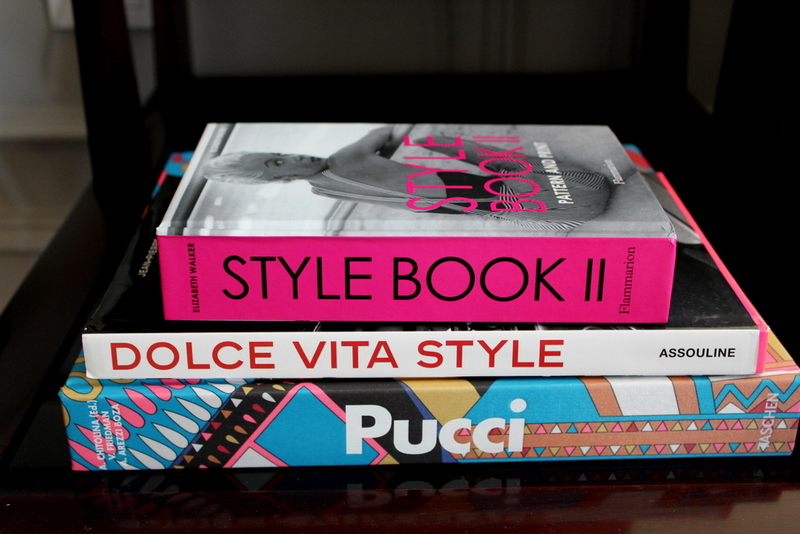 You will never run out of reading material too as the room was filled with hardbound coffee-table books on Italian Style / Fashion design. Black-out curtains which I kept semi-open at night anyway because it was great having to wake up to that sunlight and views. There’s also a kitchenette area that’s kind of camouflaged as a hallway. 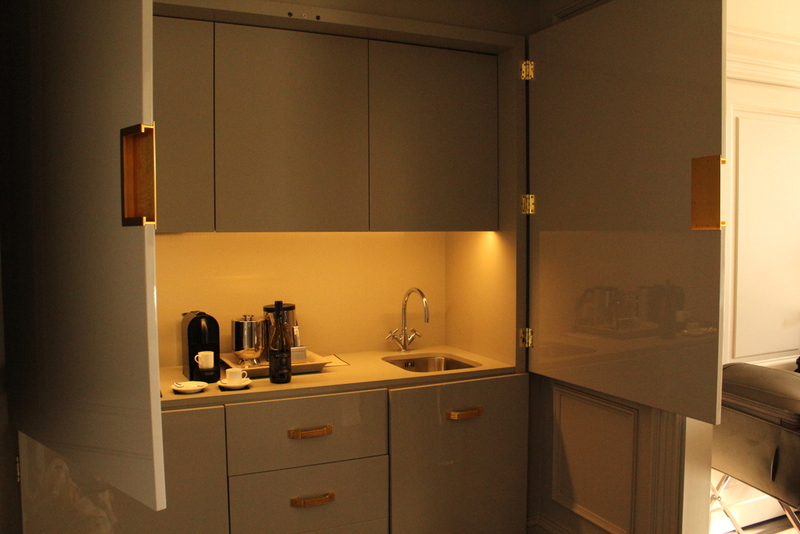 When you close the wide cabinet doors, it’s a seamless entrance / hallway to the studio. I always look forward to hotel / suite bathrooms. I have to say that I wished the bathroom was bigger in size. The toilet and shower area (facing opposite each other) were separate. The double sink was great , but I think a single sink would have been better to allow more room in the counter for personal toiletries. All fixtures were brand new and in tip-top shape. No shortage of towels at all. 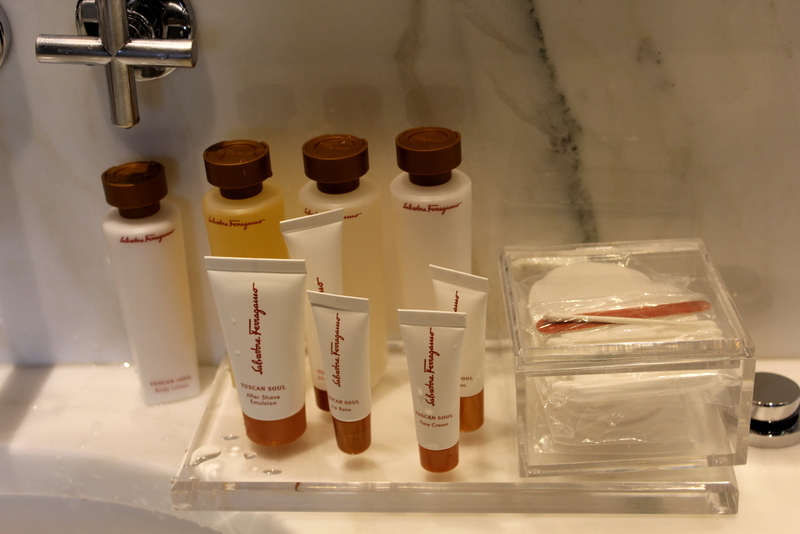 Toiletries are from Salvatore Ferragamo , aptly from the ‘Tuscan Soul’ line. 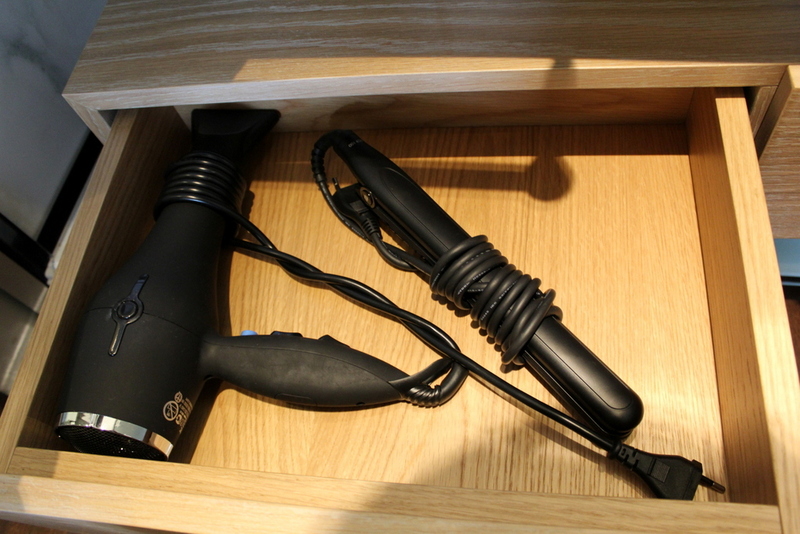 A digital weighing scale, an industrial-sized hair dryer AND a hair straightener! 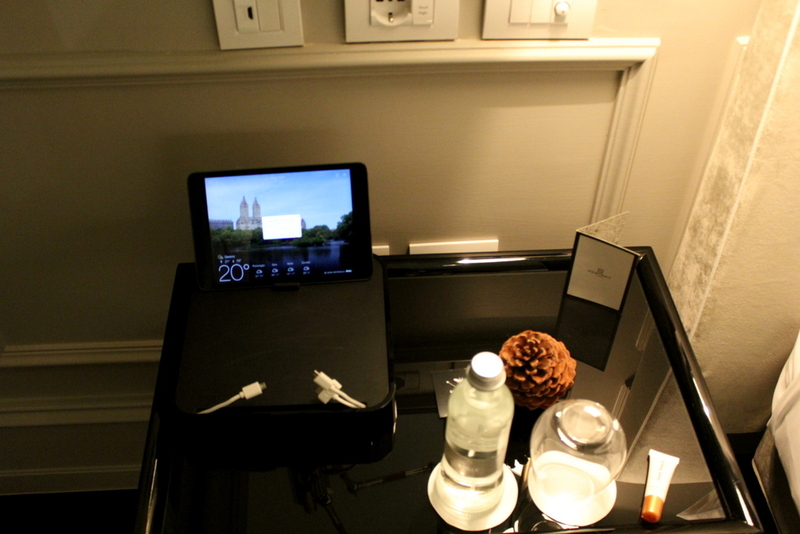 Lots of powerpoints, and there’s also a charging station along with an in-room Ipad for complimentary use. They were also very generous with water supply. And best of all? During turn down service, they placed a lip balm (that does not come with the regular bathroom toiletries) on my bedside table. This place reads my bedtime ritual like a book! So intuitive. 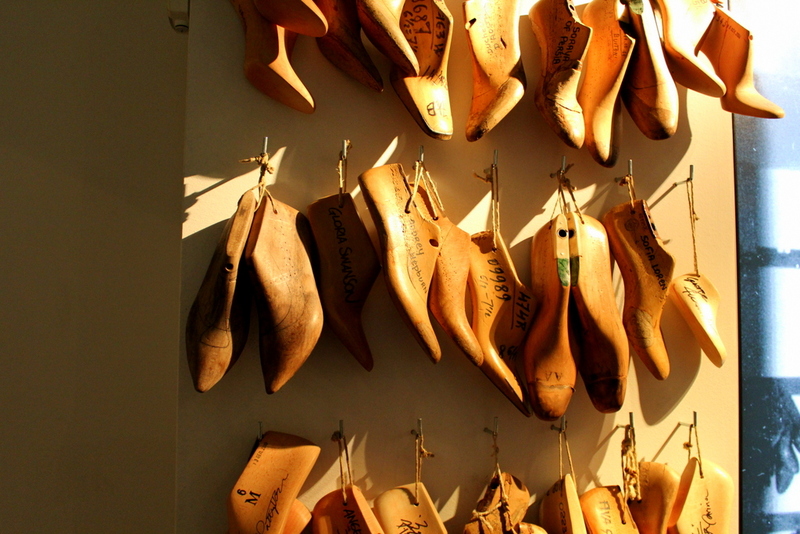 The Ferragamo family (of shoe designer Salvatore Ferragamo) owns Lungarno Collection. 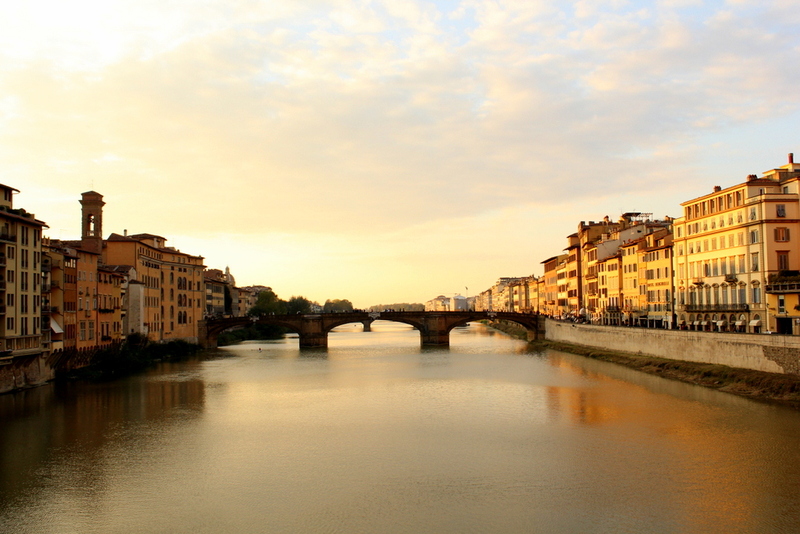 In Florence alone, they have 5 different accommodation properties that are all centrally located around the river. I had the opportunity to visit the two other hotels and while they offer the same stylish vibe, they cater to different types of travellers and clientele. 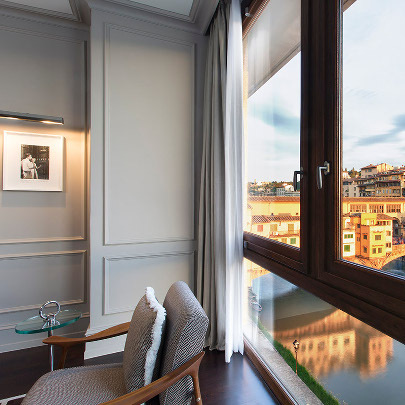 For instance, Hotel Lungarno, which was situated on the opposite side of the river (from Portrait Firenze) offers a more hotel style service and structure. The Gallery Hotel Art, which is next door to Portrait Firenze, is more contemporary and modern, with a famous roof top bar that overlooks the whole of Florence. Unlike other designer hotels (who all name their hotels after the fashion brand’s name), the Lungarno Collection wisely markets and carries its individual brand name and only when you actually stay at the hotels do you feel the presence of the brand, which to me speaks much more strongly than just having the name brand on all products. Up to this day, it is Mr Salvatore Ferragamo’s widow herself , Mrs Wanda Ferragamo Miletti, who has led the company since 1960, is still presently active as the Honourary Chairman of the company, and who still reports to the office daily! 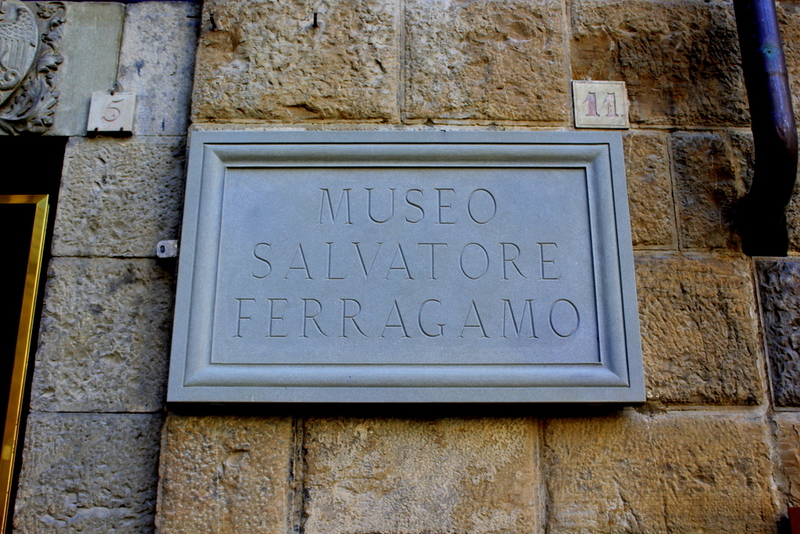 On the same block as the Portrait Firenze is the Palazzo Spini Feroni, which is home to the headquarters of Salvatore Ferragamo and also Museo Ferragamo. 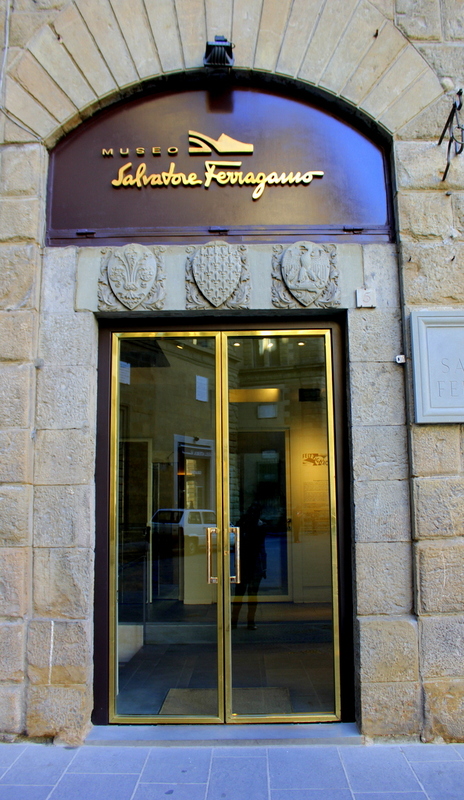 My visit to the museum calls for a separate post on its own but I will say that what I saw and learned in the museum spoke volumes of how the Ferragamo family runs Lungarno Collection. You see, Salvatore Ferragamo as a fashion brand has always been steady, innovative yet discreet. For instance, did you know that Salvatore Ferragamo invented the wedge boot which has been quite popular recently? Yet most of us associate it with another fashion brand which took the style to rage a couple of years ago. The shoe styles of Salvatore Ferragamo were way ahead of his time (1930’s) and the design is more popular now. Same goes how the hotel chains are handled. 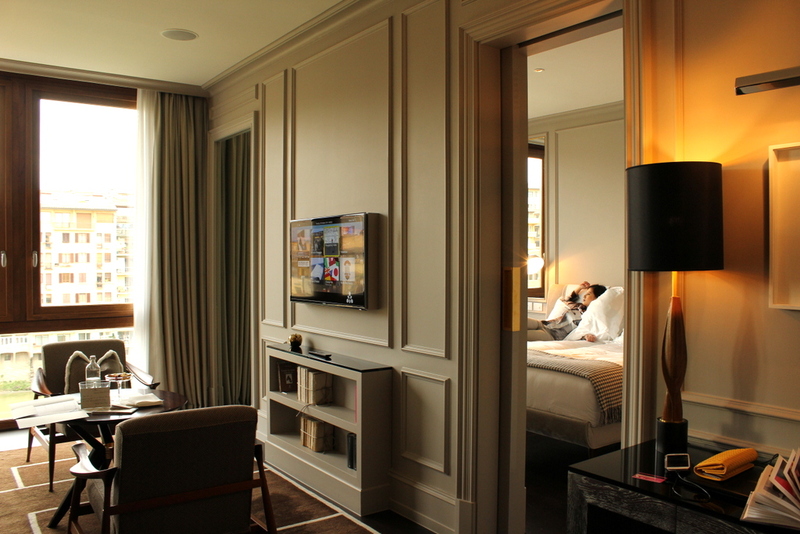 The hotels are stylish but they do not carry themselves as a fashion hotel brand. It’s an innovative lifestyle brand, which I have firsthand felt and seen during my stay. 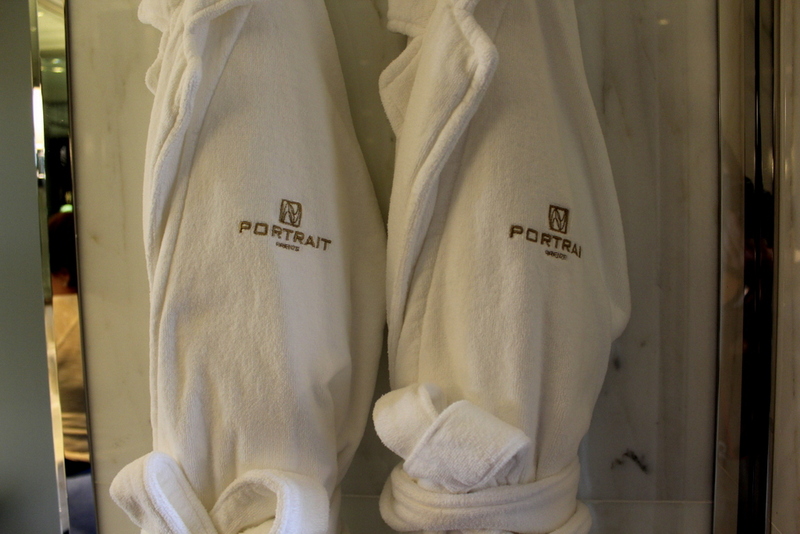 When we arrived at Portrait Firenze, we were immediately welcomed warmly by two gentlemen. 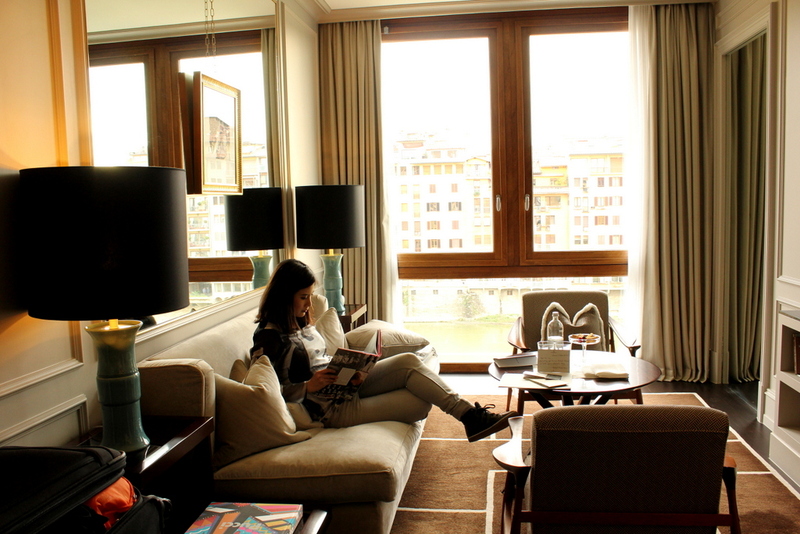 There is no lobby at Portrait Firenze but a living area, where we were sat down by Alessandro for check-in. As Alessandro explained the features of the place and services they offered, I reached into my bag to snap some photos of the lovely living area. I carry two cameras in my bag and know by heart their positions and compartments in the bag. So when I reached and felt nothing, my heart stopped for a moment. Alessandro was now telling my mom about his time in Australia working and living in Perth. I so badly wanted to join in the conversation but really, my mind was racing along and I started getting clammy and cold. I searched and searched, both mine and my mom’s bag and even the big luggage. Then it dawned on me. I left in on the train. I was using the camera to take photos inside and of the scenery of our train ride from Rome to Florence. And I placed the camera ( a point and shoot with Wi fi) on the arm rest of my seat, (I had a vacant seat next to me) and just casually stood up and left. I know I left this as I had no recollection of putting it back inside my bag. The moment I realised this, I wanted to growl in frustration at myself. 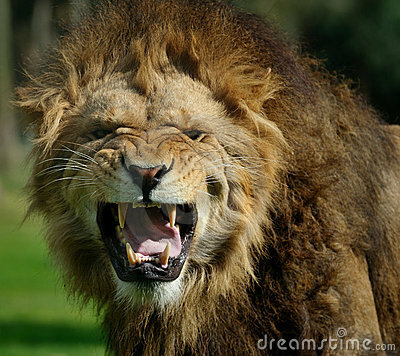 Well I tried hard to remain calm and advised Alessandro what happened. He immediately informed his colleagues and said they are now ringing the train station for me (after they got my train ticket so they could provide details). I was really amazed by the quick action but of course at that time my mind was still half here half there. After we got to the room and settled down a bit, Alessandro informed me that his colleague rang Trenitalia (the rail company) who informed them that first, there was no report of someone handing in a camera to them, and as the same train was now on its way to Naples, we are to wait till the train arrives there and see if someone will also hand over the camera to the station in Naples. In the meantime, I already rang my travel insurance in Australia (thankfully the camera is covered AND I managed to back up 98% of my images from the camera!) and they advised that I need a written report either from Tren Italia or the police about the missing camera. It sounds all so frustrating, but if you knew bureaucracy in Italy, you’d know that it was probably even more frustrating for Caterina, the wonderful Lifestyle team member (Alessandro’s colleague) who was liaising with them, and its not even Her camera! 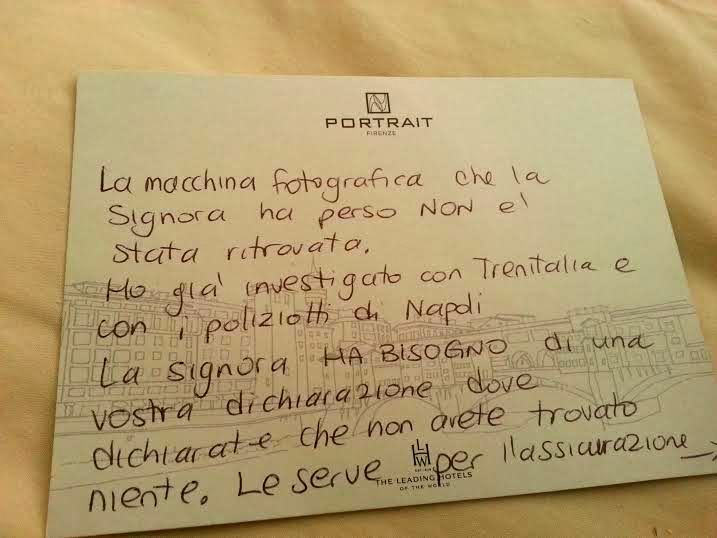 Because for one, the train company did not want to issue a written report until there was message from the police and train station in Naples that they really did Not find or received any report about a Samsung camera. Throughout the afternoon until early evening, Caterina was dealing with both TrenItalia AND the Police from Naples,while my mother and I still managed to walk around and enjoy Florence abit. (Yes, the Lifestyle Team aka staff of Portrait Firenze ordered us to go out and enjoy while they dealt with all the hard legwork). Then at around 6pm, Caterina finally was able to speak to someone about creating a report for me, and all I had to do was pick it up at the train station. Everything was done for me without any dramas. And knowing how difficult Italian offices (more so a train station!) can be, Caterina very carefully wrote a note in Italian for me to take “just in case” which I thought was extremely thoughtful of her, because she had Already informed the train station that I was about to come over and the staff all knew what this case was about. And true enough, when I got to the train station, the man behind the thick glass windows just looked at me (he didn’t even look at the note I tried to hand), got up and gave me the complete report that I needed! I raced back to the hotel and shared the “good news” to Caterina and the team. I felt like a winner! Caterina and her colleague clapped enthusiastically. So did I! Yes. I still felt like a million bucks. For one, I’ve accepted that someone had already kept the camera (may you forever be haunted by my selfies in that camera!!). Two, my insurance has it covered and I still had the important videos and photographs backed up. Most of all, I experienced such an overwhelming exceptional customer service from the Lifestyle Team of Portrait Firenze. Seriously, the way Caterina was pursuing that paper report and hounding via phone Trenitalia and the police in Naples, you’d think it was HER camera that was lost! She was really empathetic beyond words, and very proactive. And here’s the thing. It’s not even THEIR responsibility to do all this for me. 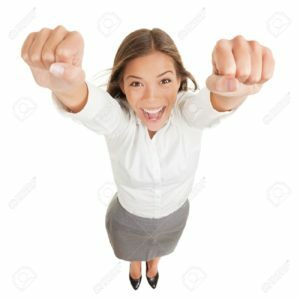 I lost my camera at the train / train station. It had nothing to do with them, and this is what amazed me the most. And realistically, this was another hotel, they would probably just give me the phone number of the train station, translate a little and that’s it. I’ve lost cameras on two occasions now while travelling. The first instance, it was found. This time it was not. But I still feel a sense of victory. 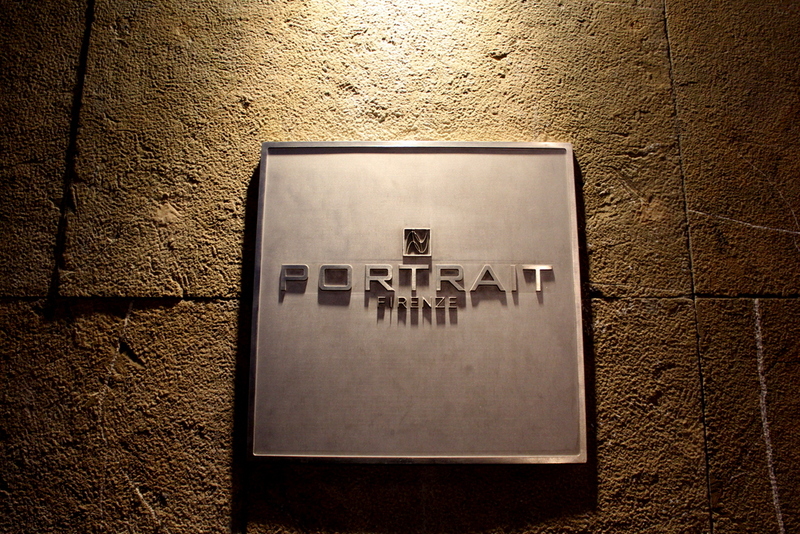 The management of Portrait Firenze let me in a little on their unusual hiring and training program. First of all, they are ALL equals in the team. All of them are Lifestyle Team members, and there are no managers / superiors. This gives them a sense of equal responsibility hence you do not see or feel any pass-around “that’s-not-my-area” situation you normally see in large chains. They recruit their staff Not on the basis of experience, but on innate personalities (so rare in the hospitality industry!) I believe they based this on behavioral science, and after the selection process, they all lived together for 2 months while on the training program so that they really function as a team (almost like family). I’m extremely impressed, not only does this sound like an innovative way to recruit, but Hey, the proof is in the pudding — IT WORKS! To Alessandro, Celina, and most of all dear Caterina — THANK YOU EVER SO MUCH. May you continue to sweep guests off their feet, you guys do such an amazing and wonderful job! Now this is where I make a point in my belief that when travelling, where you stay really makes or breaks your experience. Allow me to disagree on the popular notion that hotels don’t really matter because you will be exploring the whole day and just need a place to sleep. Had this exact situation happen to me staying somewhere else, I most likely won’t leave Florence with fond memories. I may even write Florence off my list (as it is human nature to not want to return somewhere when misfortune has happened). But where I stayed at managed to turn a sour situation into something pleasant. It sounds strange because it’s not a conventional “happy ending” wherein, I’d have my camera back then it’s black and white clear why I would be so happy. You see, to reference E.M Forster abit, I didn’t come to Italy (or Florence) for niceness. I came here to experience the wonderful touristy things I hear of endlessly. 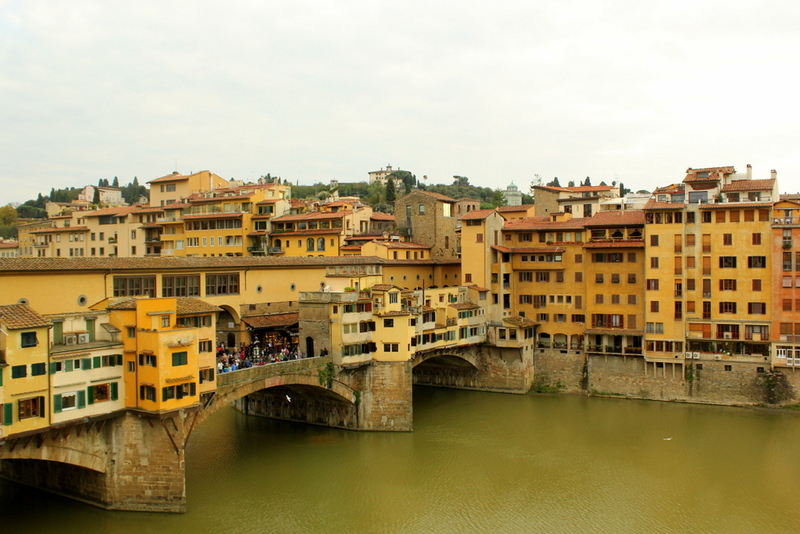 The Ponte Vecchio, The Florence Basillica, and so much more. They were all great to see, however what lingers with me and what will pull me back to Florence are the wonderful human encounters I’ve experienced. I’d like to know: Do hotels matter to you when you travel or are you more of a ‘it’s just a room to sleep and store your things’ kind of person?